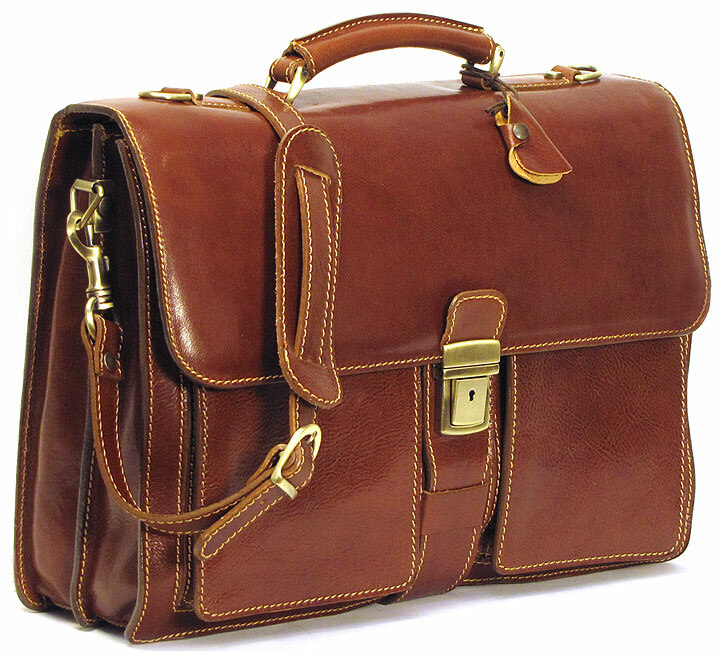 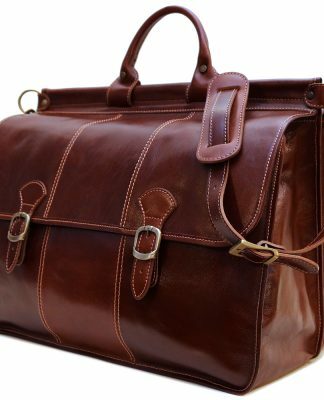 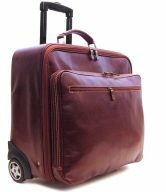 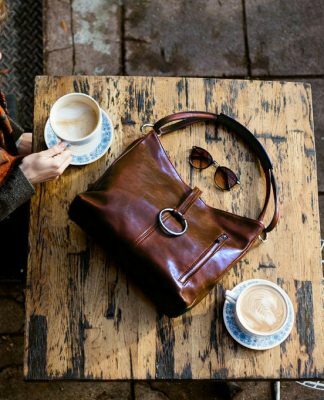 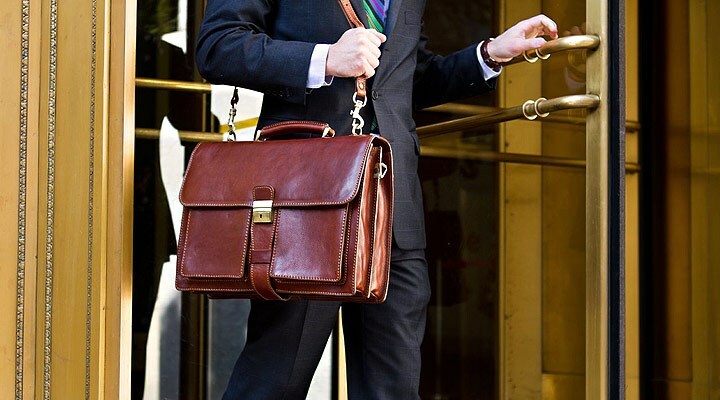 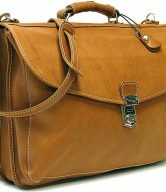 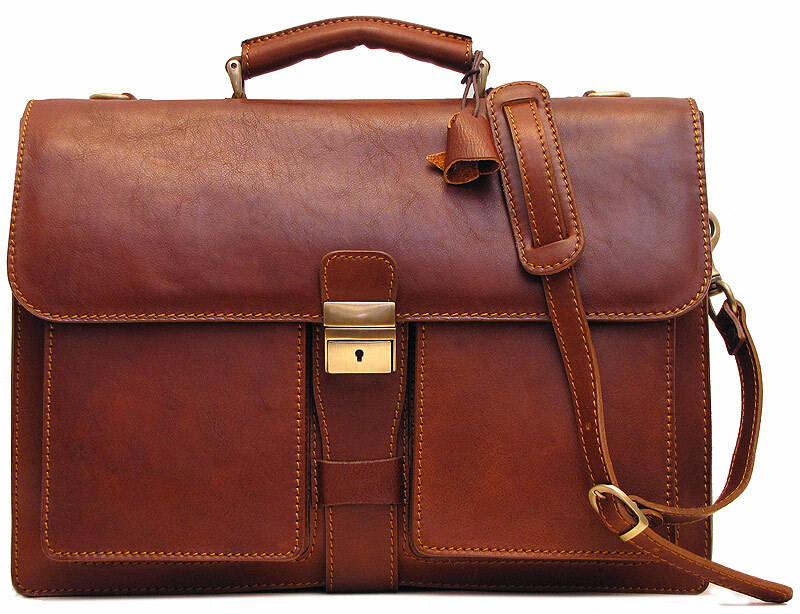 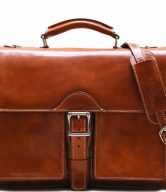 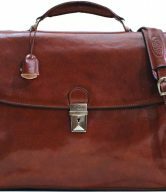 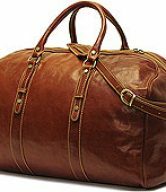 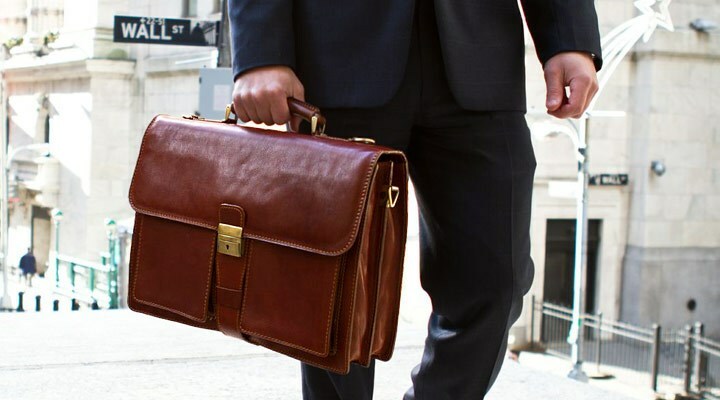 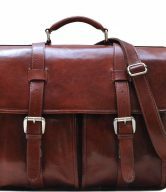 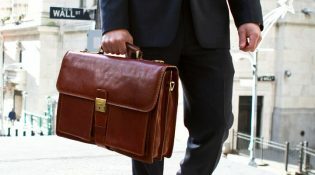 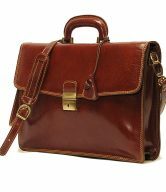 The Novella Italian Leather Briefcase Bag is a brown Italian leather briefcase bag from Floto, which is styled to provide the look of power in the business world. 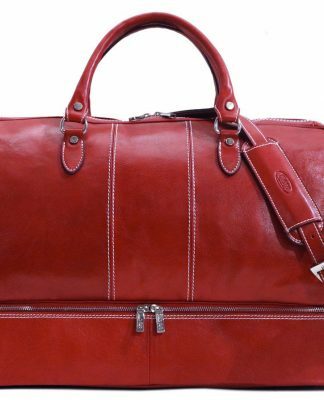 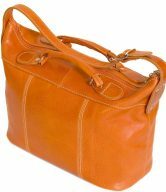 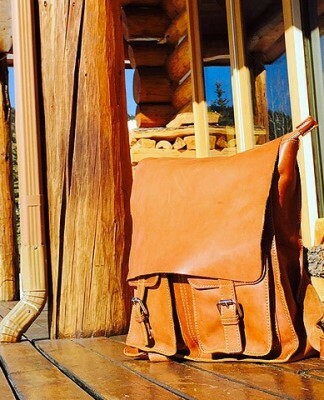 It’s well-crafted of soft, high-quality Italian calf-skin leather with sturdy seams and brass hardware. 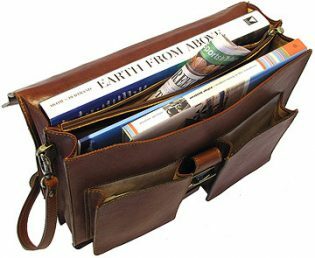 Its interior is spacious enough to hold a laptop, files, a newspaper, and a large book. 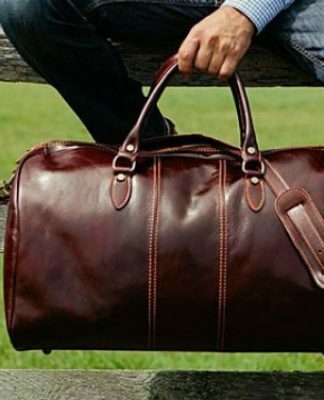 It has 2 separate compartments, an inside zip compartment, a pen and cellphone holder, 2 outside gusset pockets, a large outside zip pocket, and a detachable shoulder strap so you can throw your bag over your head and shoulder and let the bag hang at your side.